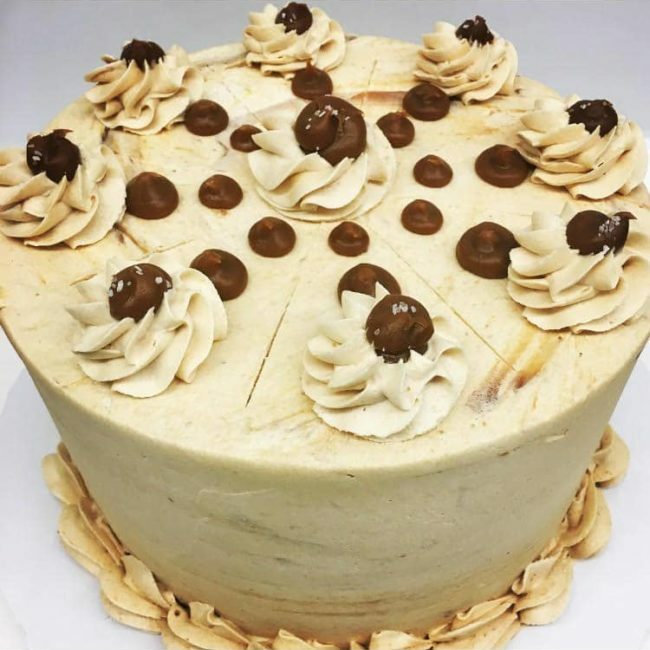 Vanilla cake with dulce de leche caramel filling and caramel buttercream with a dash of salt. 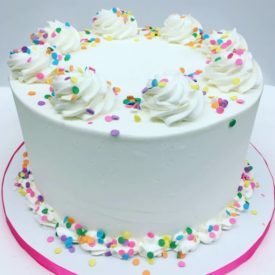 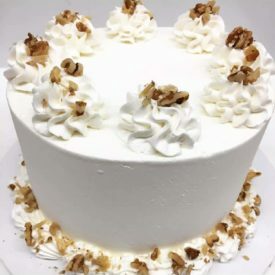 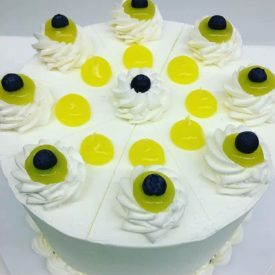 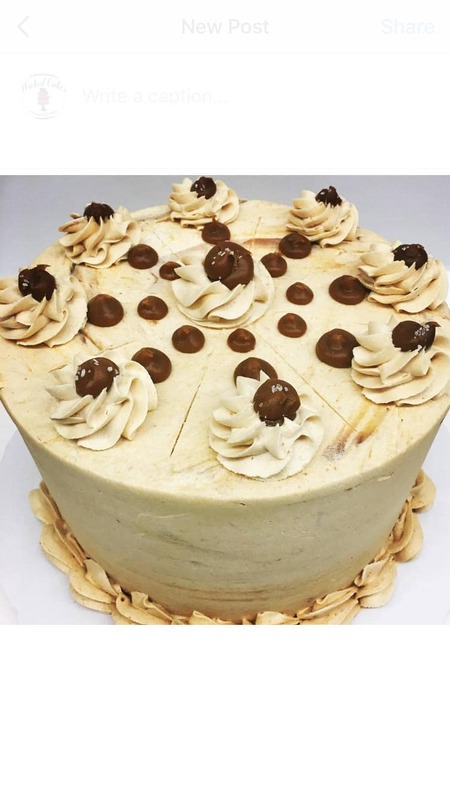 Our 8″ round Salted Caramel Cake is a vanilla cake with dulce de leche caramel filling, salted caramel buttercream and topped with a dash of salt. 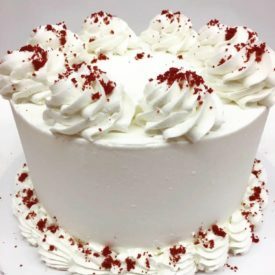 Serves 10-12 guests.